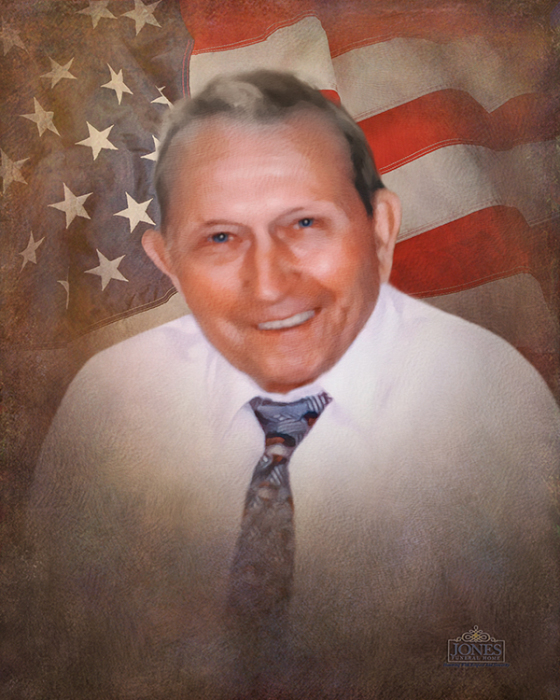 Galloway Bowen Spurgeon Jr. of St. James, passed away February 3, 2019 at the St. James Living Center in St. James at the age of 91 yrs, 10 months and 1 day. Galloway was born April 2, 1927 in St. James to the late Galloway Bowen Davis Spurgeon and Clara Alice (Ferris)Spurgeon. On June 5, 1948 Galloway was united in marriage to Doris Lee Jennings and they celebrated over 51 yrs. together. To this union, three children were born. Debbie, Judy and John. He was preceded in death by his wife Doris, his second wife Ina Mae, step son Jim Prebianca, his parents Galloway Bowen Davis Spurgeon and Clara Alice Ferris as well as his 8 siblings and their spouses. Galloway is survived by daughters, Debbie Williams and husband, Kenny of St. James, Judy Self and husband Rick of Gilbertsville, Ky and one son John Spurgeon and wife Janet of St. James. He is further survived by grandchildren Scott John and wife Bonnie, Stacy Johns, Brian John and wife Hiroko, Corey Williams and wife Sarah, Greg John and wife Anni, John Spurgeon Jr and wife Tina, Mike Spurgeon and wife Jennifer, Shannon Bower, Ashley Clark, Desirea Ross, and Melody Ross, 21 great grandchildren, Christopher Wirz and wife Courtni, Derek Johns, Nathan John, Caleb John, Thomas and Emilee Williams, Ryan and Owen Spurgeon, Jacey, Jaxon, Jett and Judson Spurgeon, Griffin John and Nina John, Paxton Hackworth, Lily, and Kennedy Bower, Adabella Burgess, Jozlynn and Trevor Spurgeon and Corbin Harriss, as well as Two great-great- grandchildren Jax and Tessa Wirz. One sister-in-law, Joan Cole and husband Charles of St. Charles, MO. He is also survived by numerous nieces and nephews. On February 3, 2001 Galloway was united in marriage to Ina Mae Prebianca. Ina brought to the marriage 3 adult children, Jimmy Prebianca and wife Yolanda, Carol and husband, Gary Webster, Gloria and husband Rick Smith along with 6 grandchildren and 3 great grandchildren. In 1964 Galloway returned to his hometown of St. James with his family where he and his wife Doris established Spurgeon’s 66. He was proud to serve his community throughout his life. Spurgeon’s 66 is currently owned and operated by his son John and wife Janet. During his early years he worked for Walter McCann in Owensville MO and then Firestone Tire and Rubber company in Poplar Bluff and St. Louis, MO until his return to St. James in 1964. He continued to be affiliated with Firestone throughout his career. Galloway was a devoted husband, father and grandfather. He was very proud of his children and grandchildren and was not afraid to tell them. He was especially close to his 8 siblings as his parents died when he was eleven yrs old, being raised by his oldest brother, Leslie. Galloway was a veteran of the Navy, serving in WWII. He was a member of the VFW in St. James, a 32nd Degree Mason, member of the Chamber of Commerce and a faithful member of the First Baptist Church in Owensville, Poplar Bluff, St. Louis and the last 54 yrs. In the St. James Baptist Church. Visitation for Galloway Spurgeon will be held Tuesday February 5th, 2019 from 4-8 p.m. at the Jones Funeral Home in St. James, Mo. Funeral services will be held at 10 am Wednesday, February 6th at the Jones Funeral home of St. James with the Rev. Jerry Baumann officiating, Vocalist, Stephen Brubaker and pianist Jeannette Ashley. Pallbearers will be his grandsons, Scott John, Brian John, Corey Williams, Greg John, John Spurgeon Jr. and Michael Spurgeon. Honorary pallbearer’s grandchildren, Stacy Johns, and Erik John. Interment will be in Bowen Cemetery, Gasconade County. He will be honored and escorted by, the Patriot Guards, grandson, Maries county Detective, Deputy Scott John (Pastor of Broadway Baptist Church), the Spurgeon 66 wreckers and taps played by grandson, Corey Williams. Arrangements are under the direction of the Jones Funeral Home of St. James.